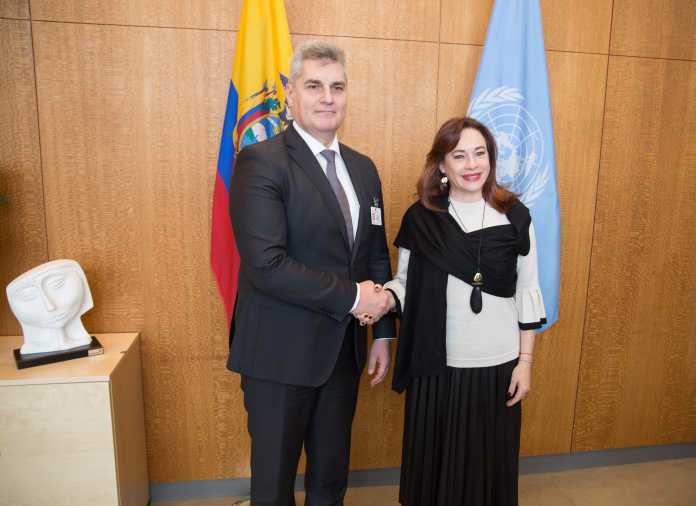 Podgorica, (MINA) – Montenegro is the frontrunner in the EU integration process in the Western Balkans, which is best safeguard for stability and growth, Parliament Speaker Ivan Brajovic said at a meeting with UN General Assembly President Maria Espinosa. Brajovic told the UN official in New York that Montenegro is ready to provide a constructive and active contribution to meeting the UN priorities, while underlining the importance of cooperation with the UN system, with a view to meeting international commitments, protecting and promoting human rights and meeting sustainable development goals. Espinoza is said to have emphasized the importance of the national assembly in implementing UN policies, while stressing that the UN highly appreciates Montenegro’s good neighborhood policy and the commitment to UN values. According to a press release from the Montenegrin Parliament, the two officials also underlined the necessity of strengthening efficient multilateralism capable of responding to modern challenges, in line with the fundamental UN principles.